Emflux Model One. Features and details-1st Electric Superbike in India. Emflux One. Features and details-1st Electric superbike made in India. Emflux Model One is the first Electric Superbike made in India. 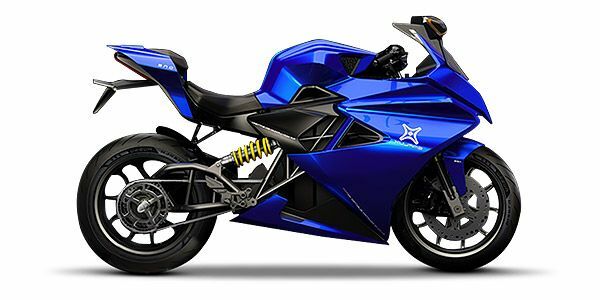 Emflux Motors Private Limited an Indian automobile company based in Banglore has revealed their radiant blue superbike which is not so common unlike the other superbikes showcased at the AutoExpo 2018. Emflux Model One is a fully electric superbike which will be made in India. E-mobility is slowly gaining pace, manufacturers are realizing that the future is electric and working on building more practical and more efficient electric machines. At the AutoExpo 2018, we saw a lot of electronic motorcycles and car concepts all signaling towards an electric future. There were a few manufacturers who showcased their electronic bikes, TVS came up with their Creon Electric scooter concept, UM Motors also unveiled their Renegade Thor going to launch by the end of 2018, but what stole the spotlight was what Emflux Motors like to call as Model One. About Emflux Motors Private Limited. Emflux Motors was formed in the year 2016 when CEO Varun Mital along with a few other technology geeks realized that electricity has the potential to change mobility completely. Emflux Motors is based in Bangalore India and is currently working on the production of model One which will be delivered to costumers in India and Overseas. Emflux Motors aims at creating a brand image by producing efficient electric motorcycles and empowering 10 million two-wheelers by 2027. Emflux One has been equipped with a 9.7 kWh battery which will give a range of about 200 kilometers on a full charge. With a fast-charging kit the bike Emflux one can be charged up to 80% in 36 minutes and with a regular charger, it takes around 3 hours to charge fully. Emflux Model One can go from 0-100 in just 3 seconds. The induction motor on the bike is scaled to 53 kWh equivalent to 71 BHP. Model One also gets advanced features like front and rear cameras to show different views to the rider on the touch screen display in the cockpit. 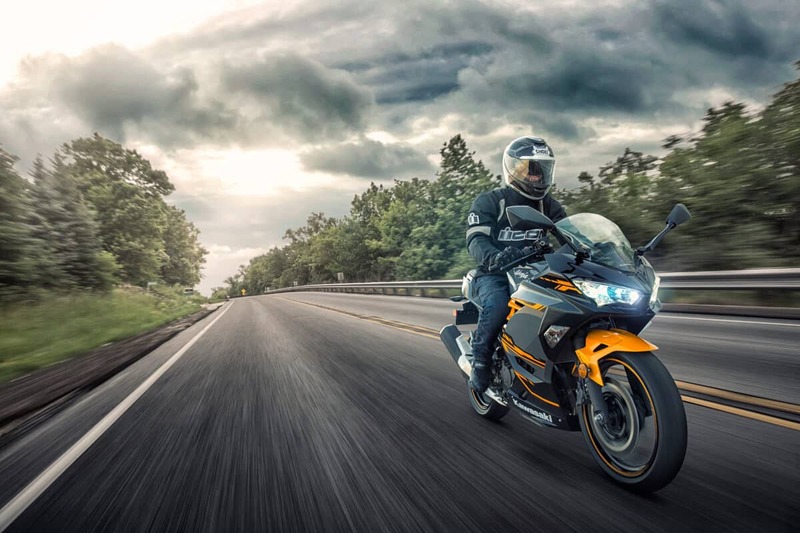 The Bike gets built in Navigation and different connectivity options like Bluetooth, WiFi and 4G so that the company can roll out any software updates. The claimed top speed of Emflux Model one is 200 kmph. 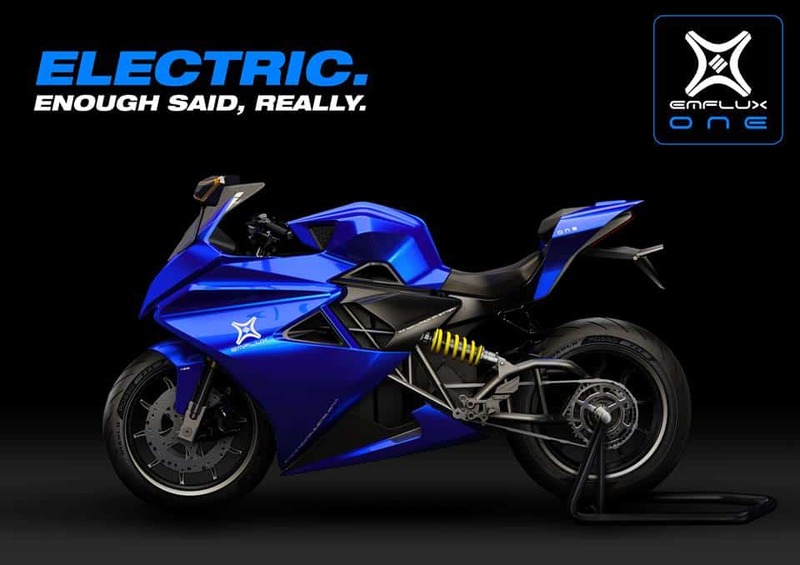 The bike gets a dual channel ABS for safety and high performing Brembo Brakes for bringing the blue electric fury to a halt. Emflux Model One gets a single-sided swingarm with light forged alloy wheels. Emflux Model One will be launched at the beginning of 2019. The company will sell 199 bikes in India and 300 bikes will be sold overseas for promotional purposes. Emflux Motor aims at drawing feedback from the customers by the sale of their first 500 bikes after which more bikes will be brought to the market soon. 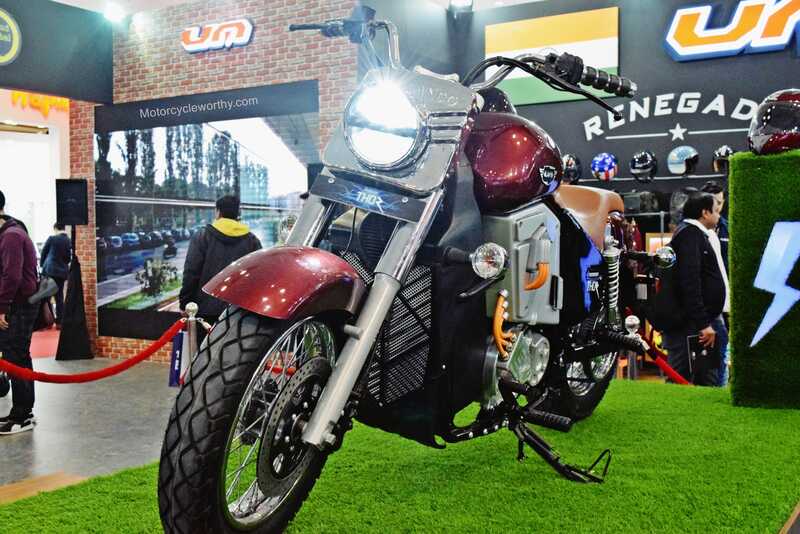 Emflux Motors has priced the bike at 6,00,000 INR (on road) and an upgraded version of the bike will also be launched at a price of 11,00,000 INR. 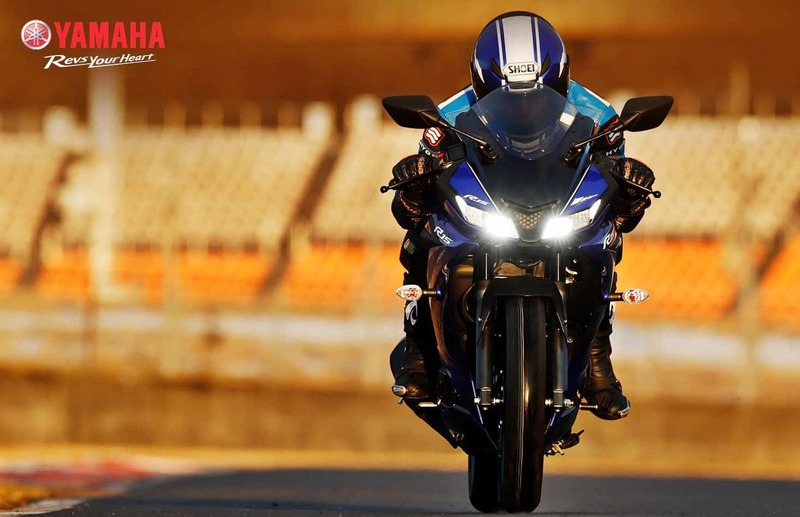 PreviousAll you need to know about the new Yamaha R15 V3 2018. NextAll new Royal Enfield Thunderbird 350X and 500X launched.